Donna C. Hurley and Sharon Woodward have been working together in many capacities for thirty years—from professional acquaintances to coauthors to business partners to road trip copilots. Read on to learn more about their collaborations—including their just-released Family Child Care Guide to Visits, Inspections, and Interviews—and how they earned the nicknames Thelma and Louise. This is the second Redleaf Press book you’ve written together. How did your partnership begin? Donna and I met approximately thirty years ago. At that time I was a family child care licensor for the Commonwealth of Massachusetts. Donna was providing family child care as well as working for a family child care system and food program. As the years went by, Donna opened her own family child care system and food program, and later became the executive director. I licensed many of the programs affiliated with Donna’s group, and I provided training on many occasions at Donna’s request. We maintained a good professional relationship and, over the years, I think we developed a mutual respect and sincere fondness for one another. How did your work inspire your book ideas? As the administrator of a family child care system that placed income-eligible children in child care so that the parents could find work, I was also responsible to make sure that the children where given age-appropriate developmental activities and materials. I employed seven home visitors who were responsible to bring support, resources, and good nutrition to the family child care providers who provided care to the children. 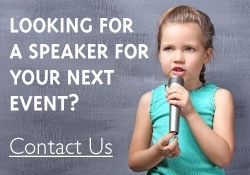 I wrote and gave hundreds of trainings to my employees, parents, and child care providers. My trainings ranged from child development, behavior, nutrition, and accommodating special needs, to issues of contracting, regulations, and business practices for family child care providers. One of my biggest concerns was that, while my employees had “head knowledge,” they were struggling with the skills to not only get the message across, but to motivate and be effective in their training and support. When Sharon came to see me about conducting some training for my family child care providers and employees, I suggested that this was a bigger problem and training people who visited homes for the purpose of inspection, support, licensing and mentoring was needed not only for my organization, but nationwide. This began our collaboration for our first book, The Home Visitor’s Manual and, eventually, the new Family Child Care Guide to Visits, Inspections, and Interviews. When I retired from my licensing position in 2005, I approached Donna with an idea for training her home monitors. Donna suggested that I couldn’t “see the forest from the trees” and that, rather than just presenting training to her group, we should think about a broader approach. At that time, I had already submitted my first manuscript to Redleaf Press for Family Child Care Curriculum. I had never submitted a manuscript prior to that one, and I had little hope that it would be published. Much to my surprise, I received a letter from Redleaf informing me that they were considering my curriculum for publication. Based on Redleaf Press’s acceptance of the curriculum, Donna and I decided that we would collaborate on a manuscript aimed at professionals, who as a requirement of their job, conducted business in home-based settings. We felt information about the “soft skill” development that we wanted to emphasize was not readily available. Based on our experience, we understood that although an individual may have a great deal of subject knowledge, entering someone else’s home and participating in a successful professional interaction requires a variety of skills. We were very excited when Redleaf accepted our proposed idea for The Home Visitor’s Manual. What kind of process did you establish to co-write your books? For the first book, The Home Visitor’s Manual, we collaborated on an outline, which identified thirteen chapters, or “modules.” We assigned the subject matter to the person who felt most comfortable writing about it. We generally worked independently of one another, in the sense that we were each responsible for our own chapters. We then submitted our ongoing drafts to one other for informal editing and feedback. It has been such a successful collaboration that we decided to work together on a second book that serves as a companion for the first. 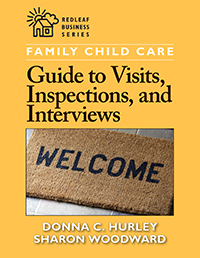 We are especially excited about the Family Child Care Guide to Visits, Inspections, and Interviews because it presents important information for providers that—in my experience—has never been offered anywhere else. Because Donna and I often think alike, I have found the collaboration with her to be one of the most comfortable and rewarding experiences of my life. In addition to coauthoring books together, you’ve been busy providing trainings. Can you tell us about it? Everywhere we provided trainings, providers and child care monitors were so enthusiastic about our information, so Sharon and I formed S&D Instructional Services. We have a wonderful partnership and we hope to continue to bring relevant and supportive information to workers in the child care field. We often drive to our trainings, which are held all across the United States, and we have a great time on our road trips. It’s not unusual to find us driving along with the convertible’s top down, singing along with the radio. Our friends and family have started calling us Thelma and Louise. In addition to the two books that we coauthored, I have written an assessment guide and additional material supporting my first book, Family Child Care Curriculum: Teaching through Quality Care. We have provided many national workshops supporting this curriculum and assessment. We now have a new website and along with on-site training opportunities we also offer online training as well as an online Home Visitor Certification. It sounds like you have been very fulfilled and successful in your careers. Tell us a little about your life outside of work. I am the parent of three beautiful children—Philip, Jamie, and Michael. Philip lives in Vermont and Jamie is in New York City. My youngest son, Michael, is a student at the University of Vermont and lives on campus. I am a widow, and rather than finding myself lost in the empty nest thing, writing books and starting a new business has been an amazingly rewarding experience. My children seem proud about this new undertaking and I have dear friends and family who support me and provide wonderful encouragement. I have been married for 49 years and have three married sons and one married daughter. I also have four beautiful grandchildren ranging from 4 to 19 years old. Learn more and see a full list of titles by Donna Hurley and Sharon Woodward.